HMAV BOUNTY – The HMAV Bounty was made eternally famous by the mutiny against Captain William Bligh, on her way back from Tahiti in 1789. 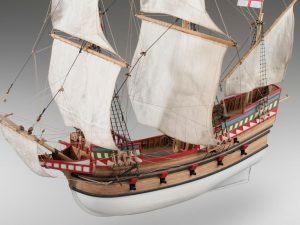 HMAV Bounty was a small merchant ship purchased and converted into a naval transport to carry breadfruit to the plantations of the West Indies. 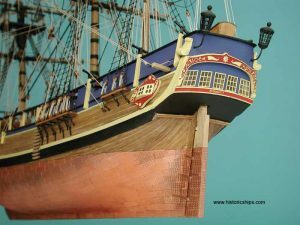 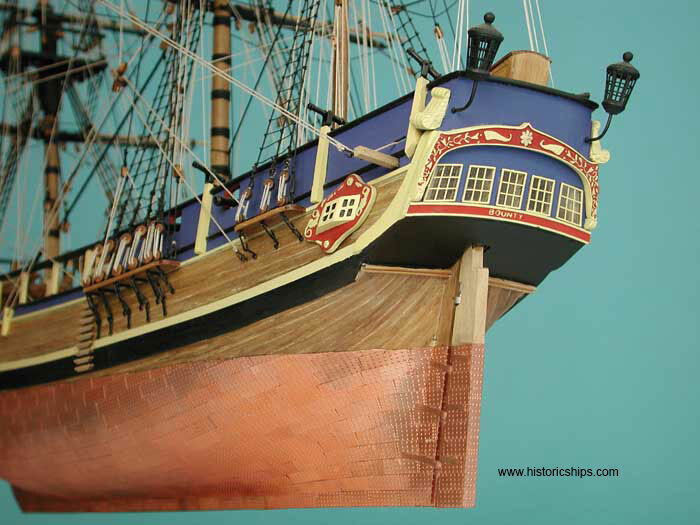 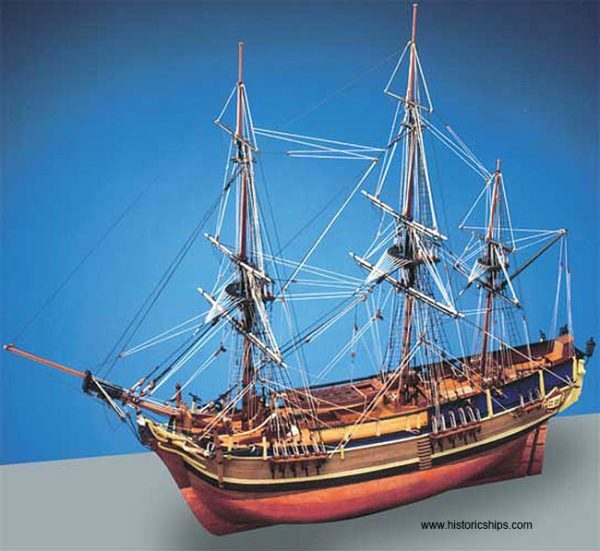 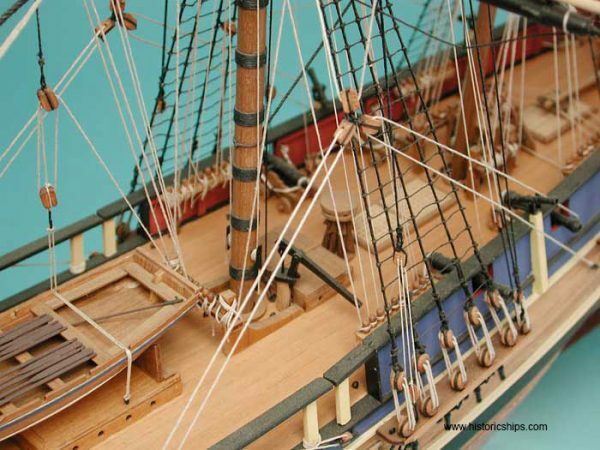 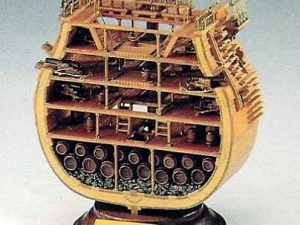 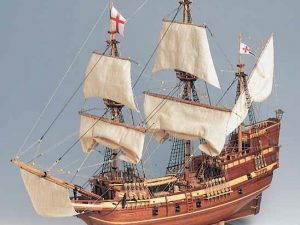 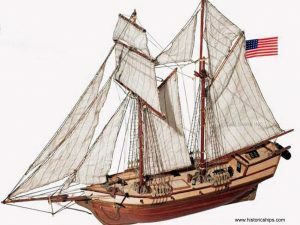 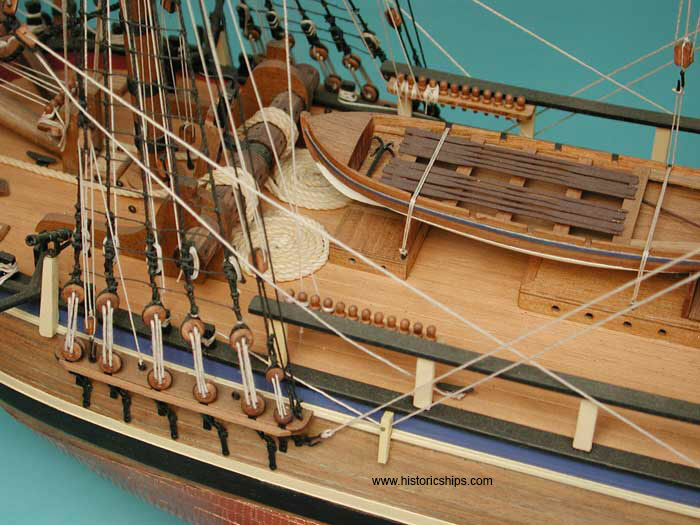 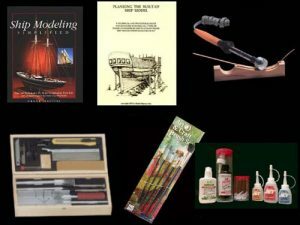 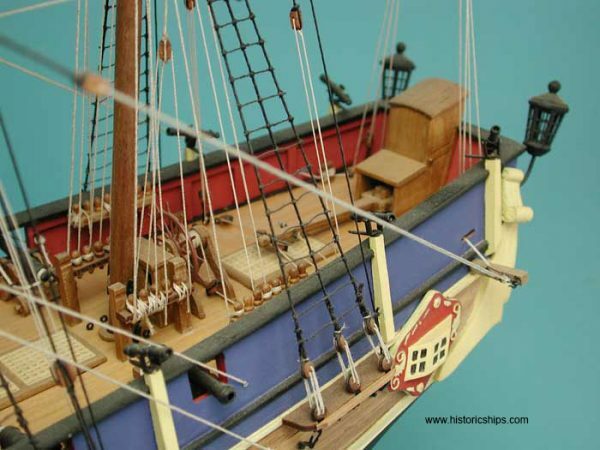 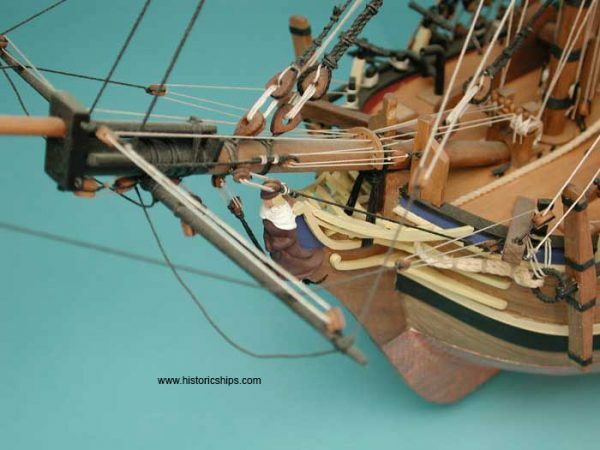 CNC cut ply and walnut components throughout; Double planking in lime and walnut; copper plates for hull below water line; highly detailed brass etched sheet, including window frames, boat grapnels and oars; chainplate assemblies etc; detailed cast decoration; turned brass cannon; rigging thread in black and natural; full set of instruction plans and detailed instructions.